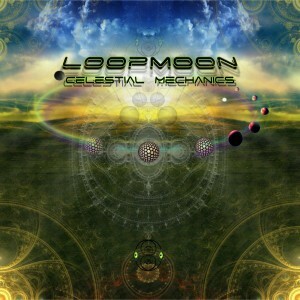 Celestial Mechanics is the eagerly anticipated debut of Balearic producer Loopmoon (Oscar Rodríguez Rico). Going back to the roots of chill and downtempo sounds, these spiritual and psychedelic voyages offer a melodic mix of slow yet danceable rhythms that will take you into a deep state of meditation. Mastered by Astropilot with artwork and design by Loopmoon. MP3 Download | FLAC Download | WAV Download · Download count: 10,731. Splendid! I love the melodic work and creative effects in the mid to high frequencies. Music that stand out ! Oh wow, awesome stuff! So glad I found this! Been looking for some fresh Deep Trance, and this hit the spot! I am happy for the support messages. I hope see you soon in the chillfloor. Thanks!! una genial melodia. Felicidades !!!! Great album. Especially first track, love the vocals ! Thanks Astranata I also love the first track, is very special for me! Thank you! Comments like that make you want to keep working.